PMM December 2018 – OUT NOW! 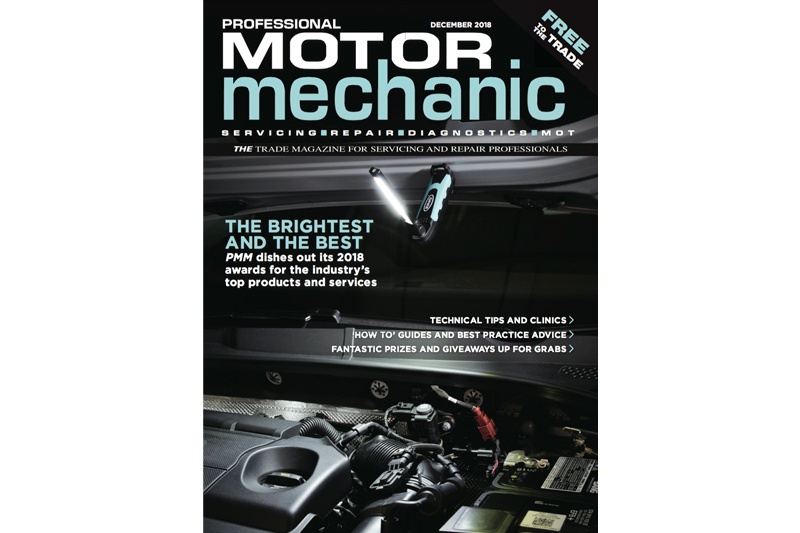 The December 2018 issue of Professional Motor Mechanic magazine has hit the streets! PMM December includes all the latest news, technical hints and repair advice, as well as the newest tools and products from the best suppliers. There are also plenty of goodies and prizes to be won! CHARGING AHEAD – Taking stock and looking forward to 2019 in the aftermarket with AutoMate. HOW TO – Check the release mechanism during clutch replacement with Valeo. TECHNOLOGY SPOTLIGHT – ABS sensors uncovered with Apec Braking. HOW TO – Dismantle, inspect and reassemble an electric park brake with ZF. PLUS: You can WIN £500 worth of problem-solving additives from Lucas Oil and a trio of Chicago Pneumatic composite drills. And as always, there’s a great selection of freebies up for grabs! Click here to see current comps and giveaways. The magazine is FREE and available from most local factor stockists, so don’t forget to ask for your copy! If you’re having problems getting your hands on your copy of PMM December, click here to find a stockist near you.